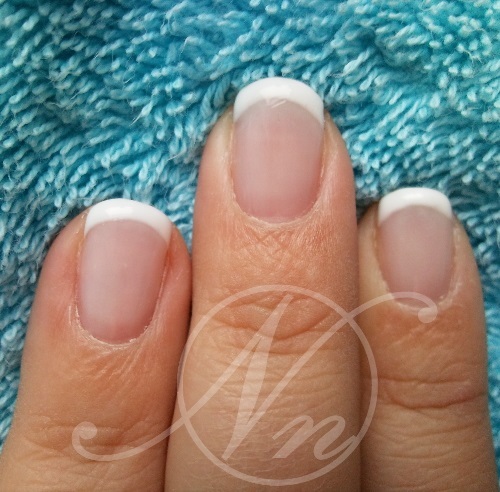 The "French" look is very attractive, classic & creates a "French manicured" (white tipped nail) finish. 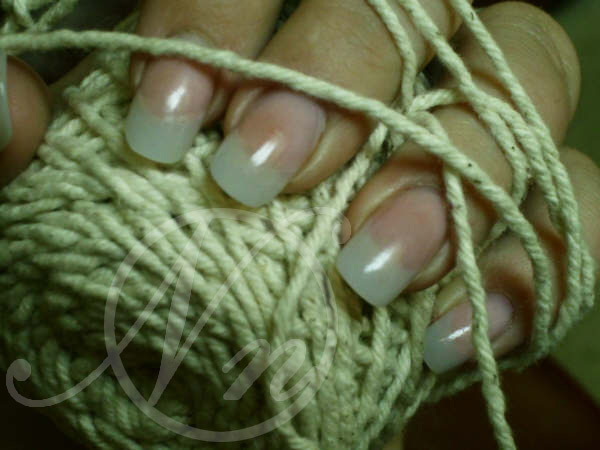 This look can be created by using French White tips, Sculpting or French polish. Very elegant! If sculpted the "French" look can be softened and altered to suit your skin tone. 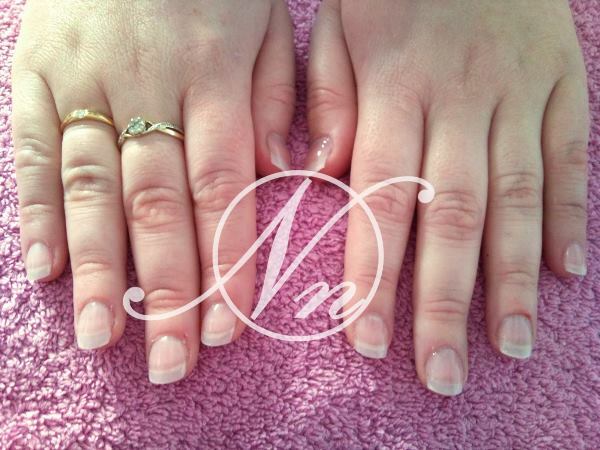 The classic French can be added to Acrylic nails, Gel nails, Gel polish manicures, traditional manicures & pedicures. It is a fact that most of us do not have the kind of natural nails we would like! This could be for a number of reasons including weak, brittle or bitten nails. Nail Enhancements (Acrylic nails/ Gel nails/ Gel manicures) help this problem & produce strong natural looking nails that can be worn permanently. Nail enhancements (Acrylic nails/ Gel nails/ Gel manicures) if treated with care & maintained regularly, will last until your natural nails reach your desired length. Regular maintenance is essential. The Acrylic liquid monomer I use does NOT contain MMA - a chemical which some salons still use today & is very hazardous to health. 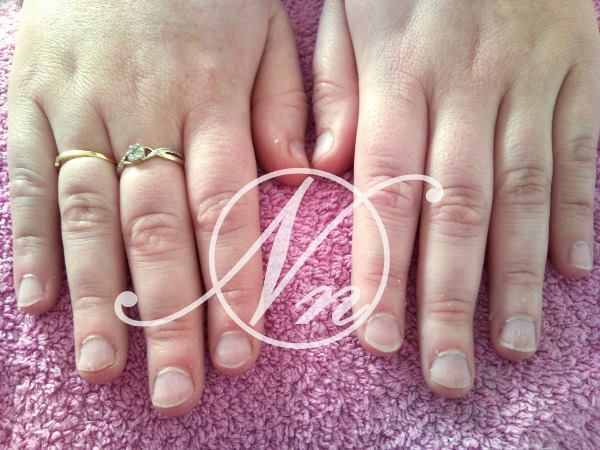 Enhancements applied by a trained Nail Technician will protect your natural nails & help them to grow stronger. Using a cuticle oil daily & a hand cream will help your enhancements last longer & stay flexible whilst also nourishing your natural nails, softening cuticles & surrounding skin. I use NSI attraction Acrylic system. The Attraction System delivers exceptional adhesion, strength and flexibility. Attraction Nail Liquid with its cross-linked molecular structure, nail enhancements maintain their colour clarity and flexibility – all with a natural thin look! So there is no excuse why you can't get pampered in the comfort of your own home! I use NSI Balance Gel system. A revolutionary UV Gel enhancement system that is versatile, durable, odourless, hypoallergenic and great to wear. Dont forget.... Noticeable Nails supply mobile nail technician services to the following areas: Preston, Leyland & Chorley. Including Euxton, Farington, Buckshaw Village, Lostock Hall, Bamber Bridge, Clayton-le-woods, Clayton Green, Penwortham, Fulwood & Hutton. If the name of your town is not listed but you live near to the areas that are, please email me and I'll let you know if your area is covered. As a Mobile Nail Technician I bring the Nail Salon to you!